While there are no immediate plans for Tigerair Australia to resume international flying, Virgin Australia has received authorisation for its low-cost carrier (LCC) unit to operate services to the United States. 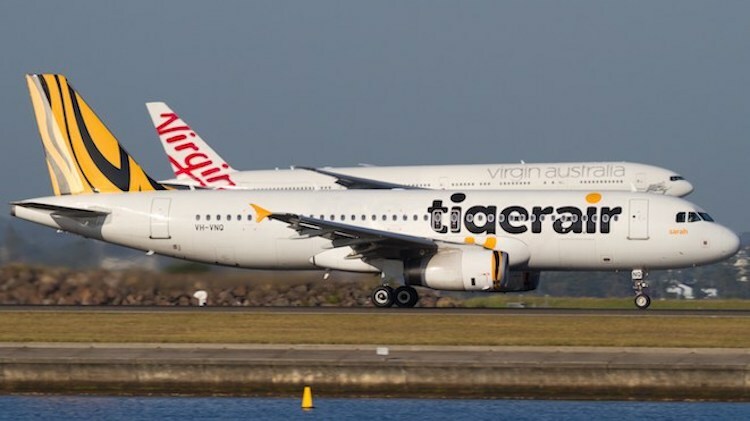 In its application to Australia’s International Air Services Commission (IASC) for reauthorisation of its United States traffic rights, Virgin Australia sought to include a condition permitting its wholly-owned subsidiary Tigerair Australia to fly to the US. The IASC said in its decision reauthorising Virgin Australia’s United States traffic rights it had approved Virgin Australia’s request. “From information available to the Commission, it has reached the view that Tiger International is reasonably capable of obtaining the necessary approvals to operate on the USA route and of implementing the service in accordance with the Australia-USA air services agreements,” the IASC said in its decision published on Friday. While it appears on the surface a curious development, it was understood the move was more about “administrative flexibility” rather than any imminent plans for Tigerair Australia to begin services to the United States. Certainly the Tigerair Australia fleet, comprising 14 Airbus A320s and three Boeing 737-800s, lacks an aircraft type economically capable of trans-Pacific services to the US. Further, Virgin Australia has no outstanding orders for widebody aircraft. Similarly, Qantas has included its LCC unit Jetstar on some of its IASC applications. Currently, Tigerair Australia only operates domestic flights. It was forced to end flights to Bali from Adelaide, Melbourne and Perth with 737-800s in February after a dispute with Indonesian regulators. Meanwhile, Tigerair Australia was also added to Virgin Australia’s application for 880 seats of capacity a week between Australia and Samoa that the IASC had approved. I suppose they’ll pay someone else top dollar to do it like with the Alliance debacle. prices in Dec-Jan to HNL are nuts. More than to LAX or SFO. Also Pago Pago (U.S. Samoa) is U.S. territory around 100 miles PPG/APW. ..so it’s possible for Tiger to fly east coast to Fiji-Hawaii using existing equipment. noticed a polish airline called Enter Air flies Poland to Thailand in 737-800’s with a tech stop in Sharjah. They claim it is cost effective.